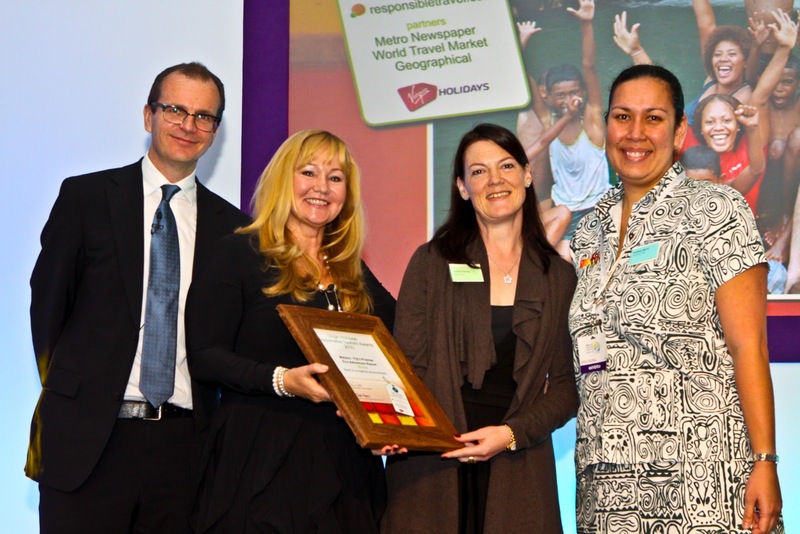 At a ceremony hosted at World Travel Market (WTM), Docklands, London, on Wednesday 10th November, the Awards were handed out by Justin Francis, managing director of responsibletravel.com, organisers and founders of the Awards, and Amanda Wills, managing director of Virgin Holidays, headline sponsor of the Awards. Over the years the Awards have celebrated the best in responsible tourism, and attracted some of the best celebrity supporters, including Michael Palin and Paul Theroux! The Awards are the most prestigious and competitive of their kind in the world and are a collaboration between online travel directory responsibletravel.com; UK media partners Metro Newspaper and Geographical Magazine and World Travel Market who host the ceremony. The central tenet of the Awards is that all types of tourism – from niche to mainstream – can and should be operated in a way that respects and benefits destinations and local people. responsibletravel.com is the world’s leading travel agent for responsible holidays. The site offers over 3,500 richer, deeper and more locally distinctive travel experiences that are better for destinations and local communities. Whether you’re after an action-packed adventure, a relaxing beach escape or a charming countryside getaway closer to home, there’s something to suit all tastes and budgets. Co-founder, Justin Francis had the original idea for the website on his travels through Africa having completed his MSc in Responsible Tourism. He launched the site with backing from Dame Anita Roddick in 2001 and since then has been included in Courvoisier’s The Future 500, Thames and Hudson’s 60 Innovators Shaping Our Creative Future and taken his place on the Advisory Board of The International Centre for Responsible Tourism at Leeds Metropolitan University. Based in Brighton, England responsibletravel.com also campaigns for positive change in the travel and tourism industry.